This is my third visit to Cebu. I was on a city tour only with my office mates, no beach escapade this time. 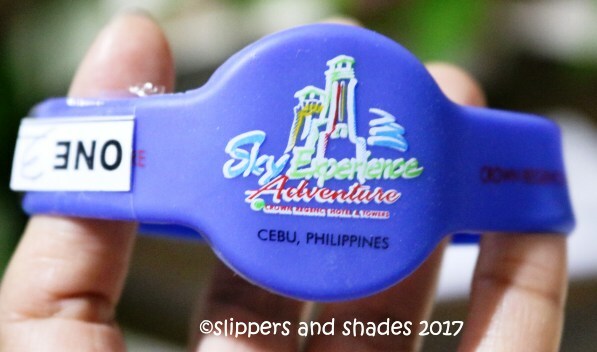 I was excited that Sky Walk Extreme adventure was included in our itinerary though I was still in doubt if I could really make it. We rode the elevator in getting to the registration area on the 19th floor. 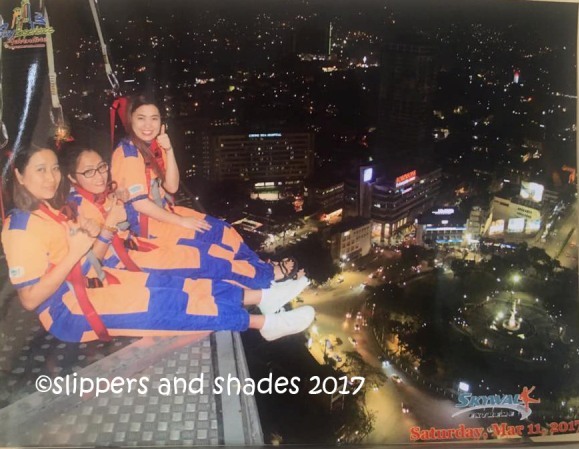 It was only me, Rose and Lenie who will try this extreme activity. 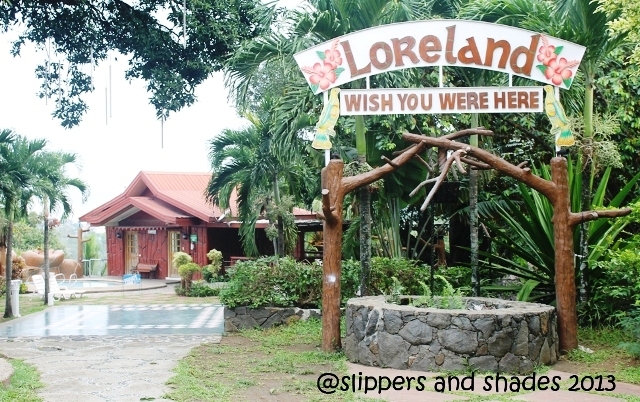 Jea, Joanne and Arriane will settle for dinner outside the hotel and we will meet them at the lobby by 9:00 pm. 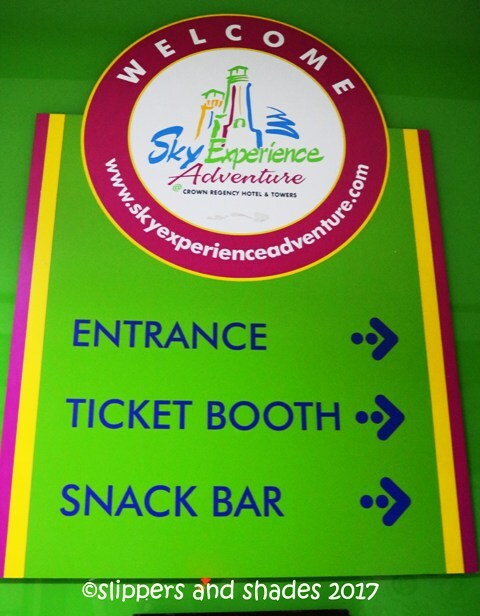 We paid Php750.00 which includes the entrance fee, sky walk extreme, the buffet and the electronic watch (Php100.) that will serve as our ticket to the activity area. But it will be returned once we surrender the e-watch. 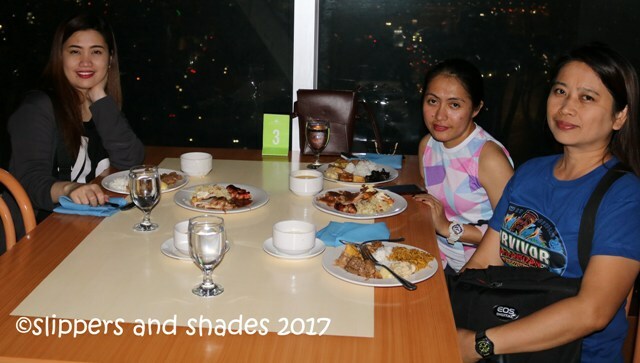 After the registration, we headed to the 37th floor of the hotel. We were given the key to our locker and were advised to leave our gadgets, cameras, watches, jewelry and bags. It was required to wear rubber shoes. 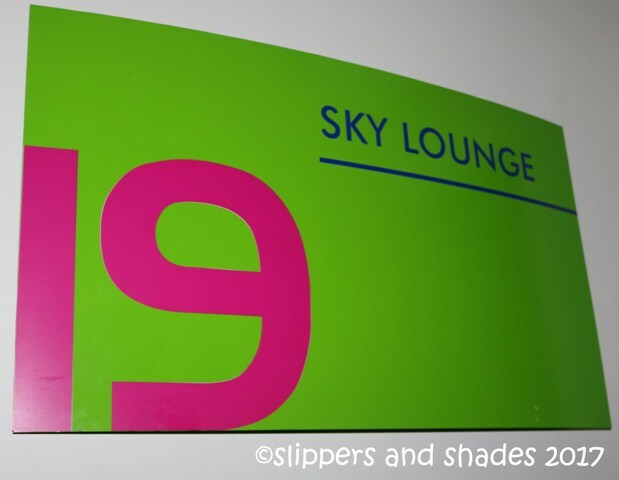 I was wearing slippers; it’s good that they have available shoes for sky walkers for free. 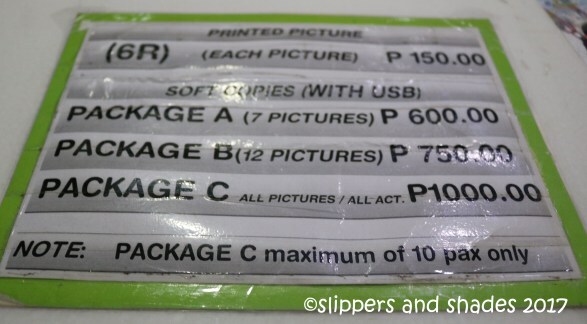 I bought socks for hygienic purposes (Php20). We were instructed to wear the orange jumpsuit. The guide assisted us in wearing the harness and later we listened for a short orientation. I was so happy because we were five groups for this round, the more the merrier. Hehehe. When we got out of the briefing area, our guide attached the overhead safety cable to our harness. And when everyone was ready to go, I started to get nervous. We were the first group to grace the pathway. Rose was leading, followed by Lenie and the last was me. 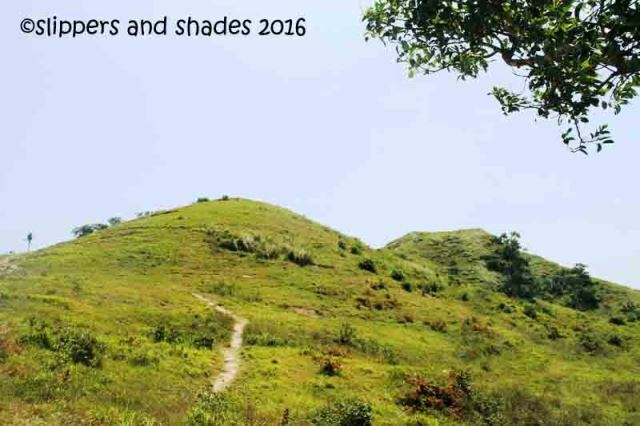 Our guide will walk beside us together with the photographer who will take pictures since cameras are not allowed in the activity area, with fee of course. 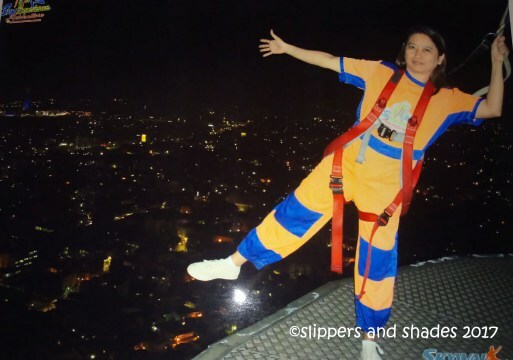 The height of the walkway was 146 feet high above the ground. Both sides were open and no hand railings to hold on. We will walk in one line, no partners on each side. When we started walking I focused on the pathway. I did not look down to avoid distraction. Surprisingly, my knees did not quiver considering I had fear of heights. When we reached the first curve, we posed for the first scary shot. We spread our right leg and right arm in the air. Woooah! Next was sitting on the glass portion where we can see the bottom of the building. Another woooah!!!! The last was the scariest of all. We sat on the edge, our feet hanging on air! We did it! I did it! Take a look at the city’s night time view. It was beautiful. The last portion of the walkway was made entirely of translucent glass. So when you look down, you will see the ground. Though I was scared, I tried looking down and slowly walked my way until we reached the end of the line. 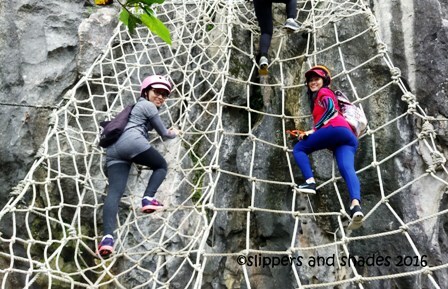 For a middle-aged mom and with fear of heights like me, surpassing another challenging activity like this was a great achievement and I felt so elated. Let’s cheers to that! 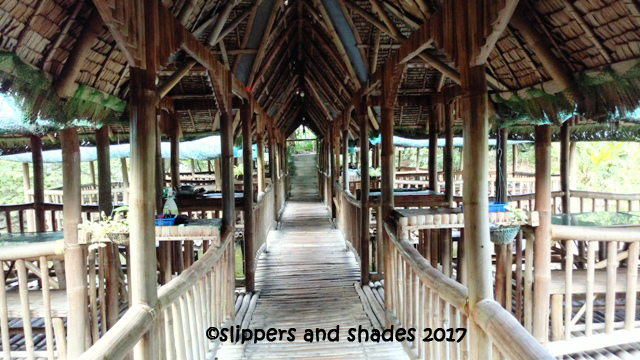 I was so thankful to our guide who was jolly and supportive. He taught us to suppress all our fears so we can enjoy every minute of our adventure. We were given a certificate, proof that we completed the walk. We were so thrilled when we saw our pictures. 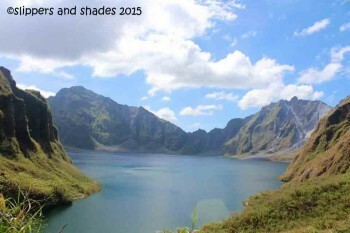 By the way, each picture costs Php150. They offer packages A, B and C.
Please see below the rate. 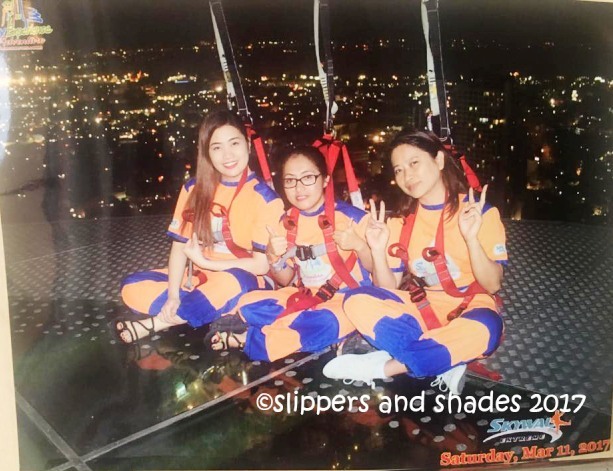 If I will go back to Cebu, I will try this extreme activity again together with the zipline. And the next big thing we did was to EAT! 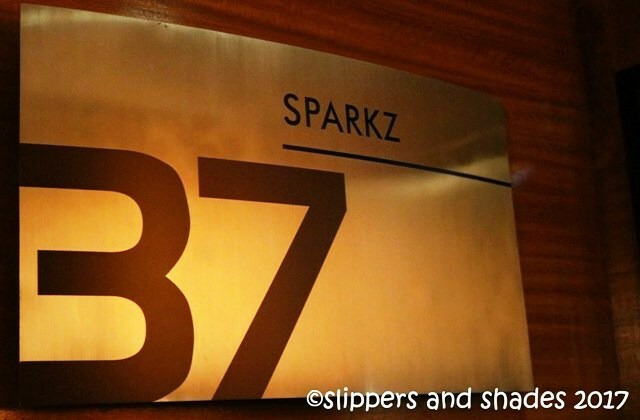 We headed to the buffet restaurant and ravenously munch our dinner. 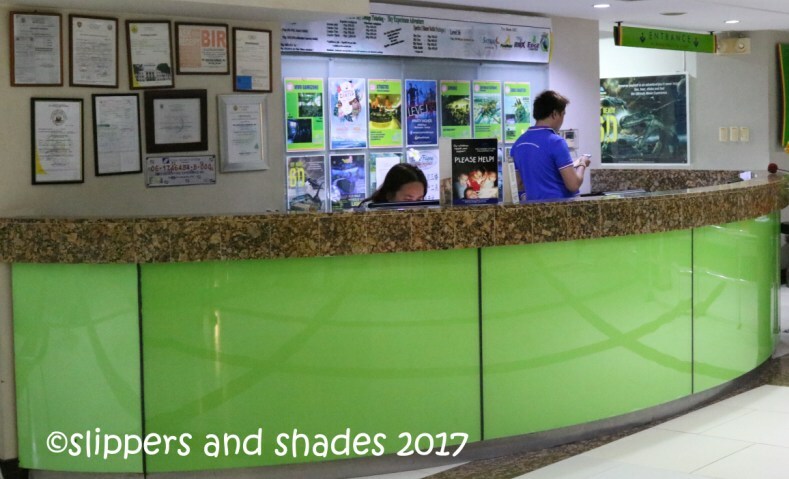 This entry was posted in Adventure, Archive, Articles, Cebu City, Destination, Food, Philippine Travel, Philippines, Travel, Travel Archive, Vacation and tagged 19th Floor, 37th Floor, adventure, attractions, Crown Regency Hotel and Towers, Food, Outdoors, people, recreations, rides, Sky Walk Extreme, transportation, vacation by shadesandslippers. Bookmark the permalink.